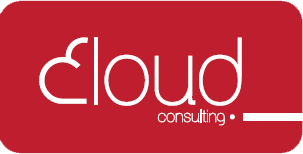 Cloud Consulting is a citizen owned ICT Company by young people. We are focused on transforming highly special­ized knowledge into practical and cost effective solutions for a broad range of business sectors and industries. By virtue of our various departments, we can offer our customers a “one-stop-solution” for their ICT Requirements. Cloud Consulting 100% own Citizen Company and based in Gaborone, which since its inception in 2012 has undertaken a wide range of ICT projects. We are an organization consisting of a close-knit team driven with dynamic and talented achiev­ers. Among us are professionals in networking, specialists in software programming languages, project managers and analysts with extensive experience. Our team’s focus is on the end results and we passionately surge towards our set target. Cloud Consulting has the unique ability to deliver the complete cycle of ICT (Design, Development, Sup­port, Project Management and Training).